Pippa the kitten is simply gorgeous, a soft toy with mismatched velvet and gingham ears. 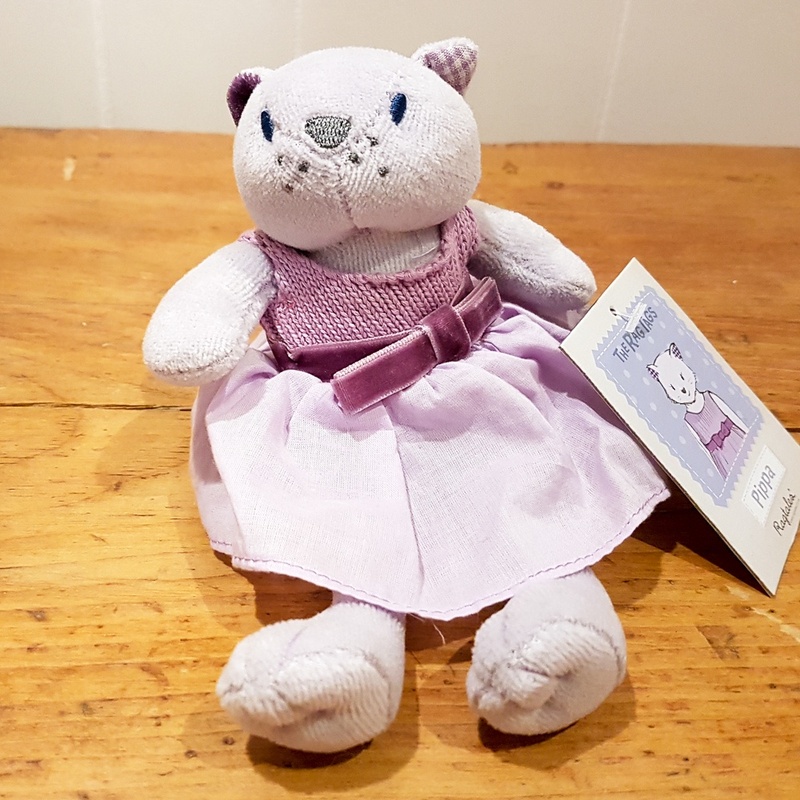 She is made from the softest grey velour fabric her sleeveless lavender top is hand knitted, and her gathered skirt is topped off with a deep purple velvet bow. She has a pretty stripy tail that sets here apart from ordinary kittens! Size: Pippa is 25 cm tall. Suitable for birth onwards (as eyes and nose are embroidered) and machine washable at 30 degrees.